1. Portable and light, convenient to carry. 2. Plug and play, easy to install. 3. 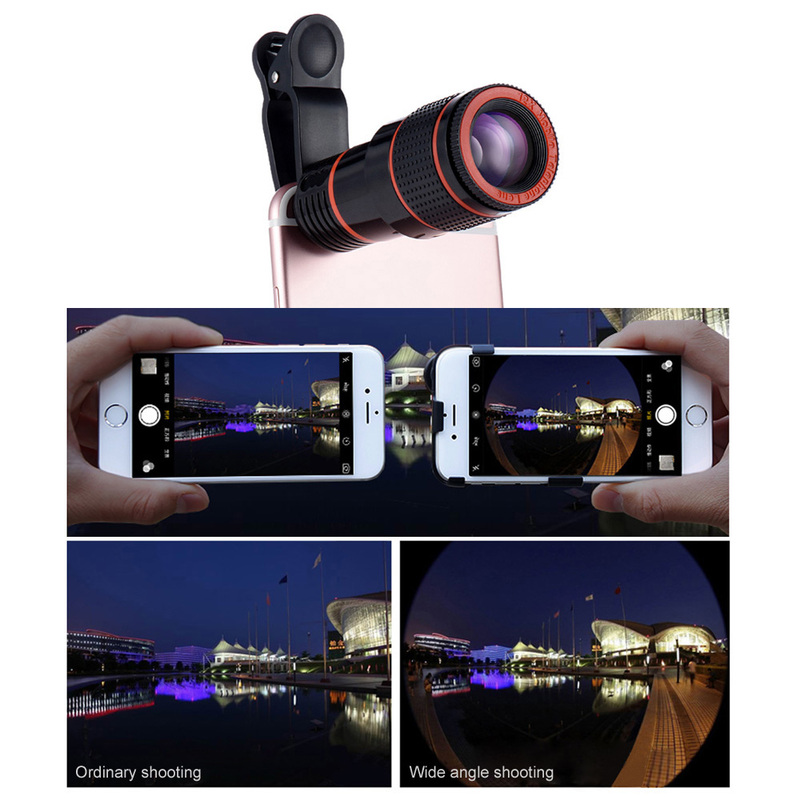 12 times zoom, which can adjust the focal length. 4. 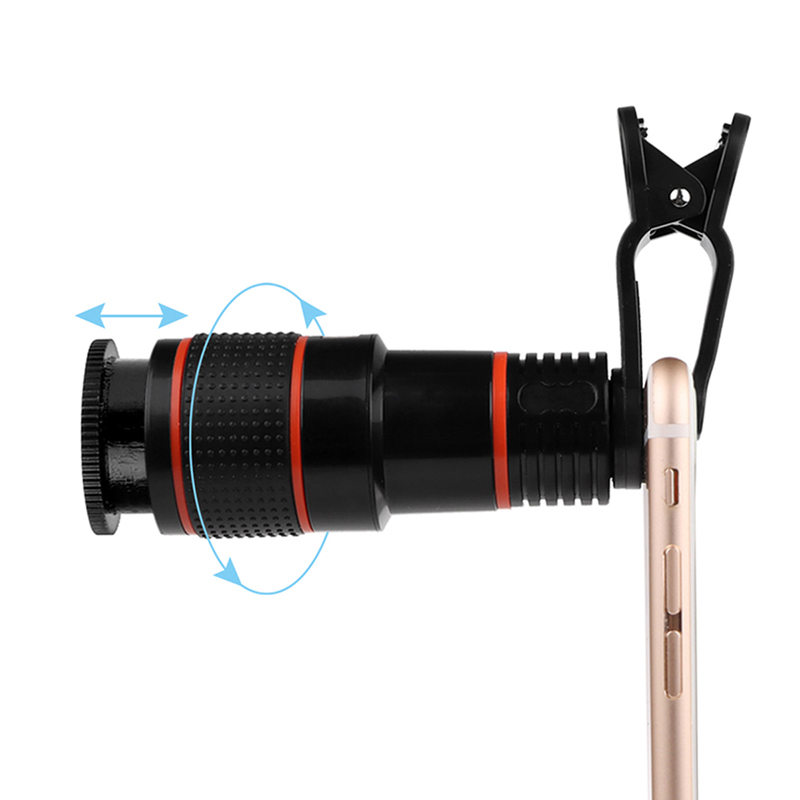 Make your short-sighted camera/phone into a Telephoto. 5. 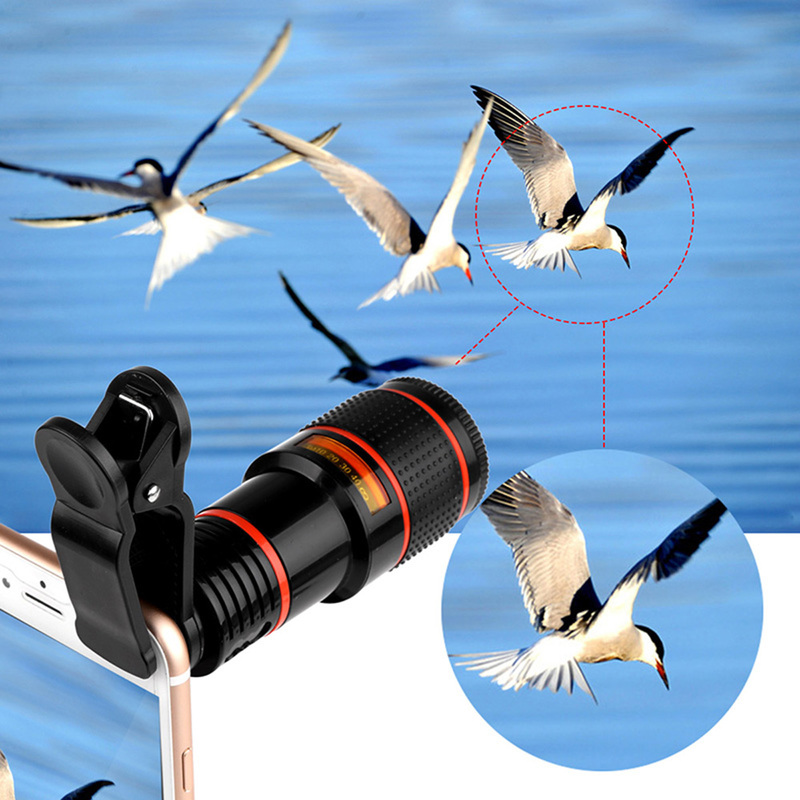 Can be used as a binocular separately. 6. 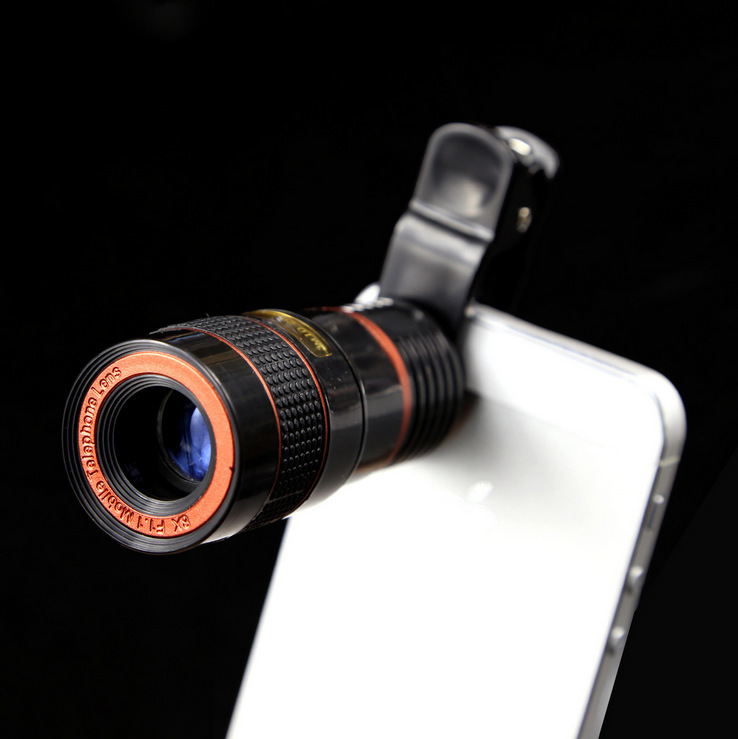 Suitable for most cameras and mobile phones.